Improvements are being made at Milngavie station - to make it easier to connect journeys by train, bike, bus or car. East Dunbartonshire Council is creating a Sustainable Travel Hub, allowing people to transfer safely and conveniently between transport modes. 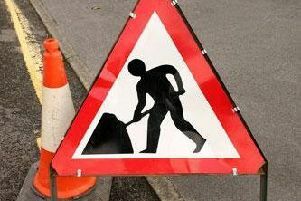 Footpath, carriageway and car park improvement works begin on Monday, February 1 and will last approximately seven weeks. Some parking provision will be limited while works take place, but the council says this will be kept to a minimum. Work is taking place as part of the A81 Route Corridor Improvements and is being paid for through Transport Scotland’s Bus Investment Fund. As well as working on the car park, old slabs will be replaced with high-quality granite - creating a welcoming gateway to the town centre with the aim of encouraging footfall. At the moment there are 133 spaces - including seven disabled bays. That will be temporarily reduced to around 75 during works. When work is completed there will 135 spaces, more bike racks and greater access for all. Councillor Alan Moir, convener of development and regeneration, said: “I am delighted that we will be investing in our car park at Milngavie Station, and carrying out footpath improvements. “This investment will prioritise pedestrian movement, enhance parking facilities and encourage greater use of public transport. “This is part of a wider scheme to encourage greater active travel movement and economic opportunities in Milngavie. “Well done to all the officers involved in attracting this additional investment to Milngavie - making the area more attractive and supporting local businesses. Scotrail, Abellio and Network Rail have been key stakeholders during the Milngavie Station design process alongside Strathclyde Partnership for Transport and First.